Today, HRC expressed outrage at a vote by the South Dakota House State Affairs Committee in favor of discriminatory legislation targeting transgender students. By a vote of 10-3 this morning, the committee voted to advance HB 1008 to the House floor. The deplorable legislation seeks to prevent transgender students in public schools from using facilities that are consistent with their gender identity. The legislation was also amended to require educational institutions to pay the costs of the resulting legal challenges. HB 1008 would put South Dakota school districts at risk of losing federal funds under Title IX, forcing them into an untenable position of choosing between state and federal law. It would also tie the hands of school administrators and teachers who would no longer have the flexibility they need to find workable solutions in coordination with transgender students and their parents. The legislation would only exacerbate the discrimination and harassment that transgender students already face. Based on findings from HRC’s groundbreaking survey of over 10,000 LGBT-identified youth, the HRC Foundation, in partnership with Gender Spectrum, released a report in 2014 on gender-expansive youth – or young respondents who identified as transgender or chose “other.” Findings revealed the heartbreaking reality that gender-expansive youth take the brunt of exclusion and verbal harassment both inside and outside of school compared to their peers. For example, 40 percent of gender-expansive youth reported being excluded “frequently or often” by their peers. Nearly the same number of gender-expansive youth reported “frequently or often” being verbally harassed and called names at school, and 42 percent reported being called anti-gay slurs. The outrageous legislation in South Dakota is part of an onslaught of anti-LGBT bills being pushed in 2016 by anti-equality activists around the country. Earlier this month, HRC released new analysis previewing the state and local legislative battles in the year ahead. To date, HRC is tracking over 100 anti-LGBT bills in 26 states. These range from legislation attempting to undermine marriage equality; proposals aimed to authorize individuals, businesses, and taxpayer-funded agencies to cite religion as a legal reason to refuse goods or services to LGBT people; bills seeking to restrict or criminalize transgender people who use facilities consistent with their gender identity; and even legislation aimed at eliminating the ability of local governments to protect LGBT residents and visitors. For more information, visit: www.hrc.org/2016legislature. 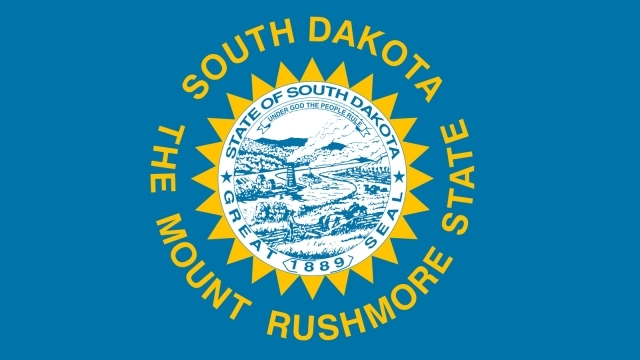 Working to stop such reckless and discriminatory legislation, HRC is proud to be fighting alongside local advocates at the ACLU of South Dakota to ensure LGBT residents and visitors across the Mount Rushmore State are treated with dignity and respect.